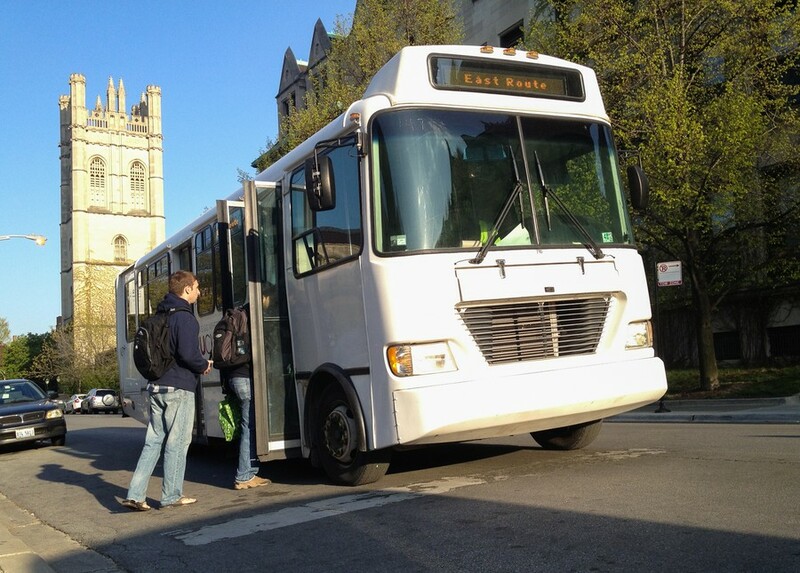 The 53rd Street Express Shuttle will have UCID card readers installed upon its launch Monday. Students may have to adhere to a tap-and-ride policy when boarding NightRide shuttles starting winter quarter. The University plans to add UCID card readers to all shuttles at the start of winter quarter, after a test run with the new 53rd Street Express Shuttle that launches on Monday. This policy is being implemented to help Transportation and Parking Services collect ridership information from shuttle users in order to evaluate the popularity and efficiency of each shuttle route, according to Bridget Malone, communications manager at the Department of Safety and Security, which administers the shuttle program. “[This information] will help them assess the best ways to direct resources to provide the safest and most efficient transportation options on campus and in the surrounding areas,” she wrote in an e-mail. The 53rd Street Express Shuttle will have UCID card readers installed upon launch. Previously, members of the University were only “encouraged” to display a valid UCID when boarding a shuttle, but this policy was not strictly enforced. University IDs are issued to students, faculty, and staff members, as well as UCMC personnel. Malone said Transportation and Parking Services is working on a policy in the case of a lost or forgotten ID and for visitors who wish to ride the shuttles. “The University is considering ways of accommodating campus visitors on the shuttles,” she said.